In stock 87 items in stock. 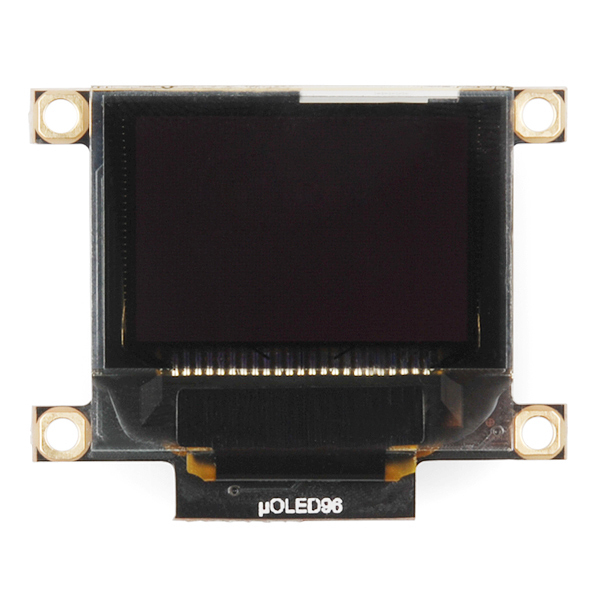 The uOLED-96-G2(GFX) is a compact and cost effective display module using the latest state of the art Passive Matrix OLED (PMOLED) technology with an embedded GOLDELOX-GFX2 graphics processor that delivers ‘stand-alone’ functionality to any project. 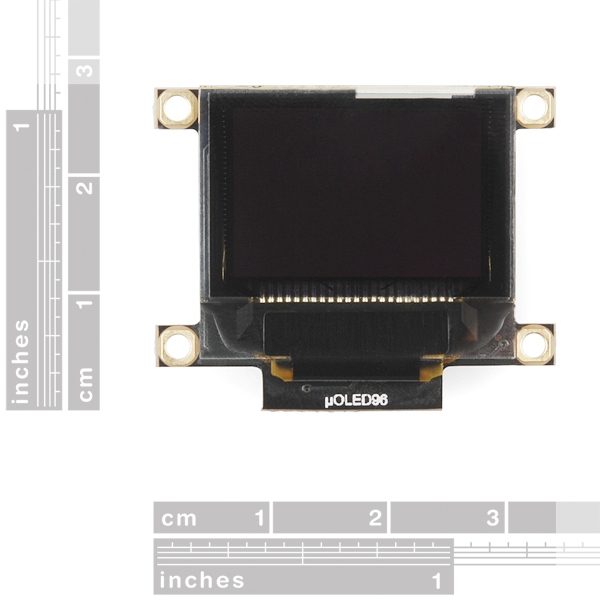 Powerful graphics, text, image, animation and countless more features are built inside the GOLDELOX-GFX2 chip. The module is designed to work out of the box and you are now ready to write your code in 4DGL (a high level 4D Graphics Language) using the 4DGL-Workshop3 IDE (editor, compiler and downloader). This will save weeks even months of development time on your next embedded graphics project. 4DGL is a graphics oriented language allowing the developer to write applications in a high level language, syntax similar to popular languages such as BASIC, C and Pascal. The module offers modest but comprehensive I/O features that can interface to serial, analogue, digital, buttons, joystick, sound generation and Dallas 1-wire devices. In short, the uOLED-96-G2(GFX) offers one of the most flexible embedded graphics solutions available. 3.3Vout, IO2, GND, IO1, RESET, GND, RX, TX, +5V, 5V OUT. 1 x Asynchronous hardware serial port, TTL interface, with 300 baud to 600K baud. On-board micro-SD memory card adaptor for storing of icons, images, animations, etc. Supports 64MB to 2GB micro-SD memory cards. Comprehensive set of built in high level 4DGL graphics functions and algorithms that can draw lines, circles, text, and much more. "warranty void if removed" .... HAHAHAHAHAHAHA Riiiighhht. I hope they know who they are selling these to. I guess it's so when some dude calls up and says "My hair's on fire and for some reason your OLED display did it and also let a feral monkey into my house and he killed my cat AND YOU WON'T GET AWAY WITH THIS," they can just sit back and laugh themselves into a coma. Good luck trying to claim warranty if you dont have your invoice and the sticker on the module, that is all they are saying. has anyone figured a way to have it recieve analog video for a camera monitor. The choice to "invent" a new "language" for these displays turns me off. There is nothing inventive or value added about it. Rather than using a rich existing infrastructure for C with gcc and clang, or embedded Java, you have to use custom annoying systems that don't integrate with anything else. Buying this was a mistake. A atmega32u4 or a stellaris or whatever plus an oled display works better. It's even as bad as it REQUIRES Windows for development, and it REQUIRES their custom cable for development, even though it's billed as "serial." Stay away! 4DGL is a graphics language, specifically designed for 4D graphics processors, it is not compatible with GCC, which is simply a compiler. Workshop runs on Windows because Windows has over 90% the market share. Forum users have shown how to run Workshop on other operating systems. The 4D programming cable is a descendant of the 4D Micro-USB adapter, one of the first USB to serial adapters on the market. We specify it as required as many other cables do not operate the reset line correctly and so you can end up with a bricked processor. We make this a requirement to protect your investment, if you compare prices you will see that we have very little margin on this cable. If you only wish to avail yourself of the âSerialâ environment then you can ignore the cable, which will make it impossible to upgrade the firmware, and the Windows environment, which will mean you will be unable to take advantage of the cool tools for generating graphics and widgets. If you are that unhappy please feel free to return it, we do however stand by our products. I cannot actually use this "serial" display in "serial" mode because I need a 4d special usb cable and a Windows computer to actually make it "serial." Also, if you think Windows still has 90% market share among your target market, you should get better market research. And if you think a crummy, custom language is better than providing libraries for tools that developers have been using forever and can integrate with any environment, I think you're needlessly locking your hardware or of the market. 4dgl and the effort your company spends on it is largely wasted and a bad idea. Open systems beat closed lock-in every time. Is there some undocumented way to turn the default firmware, which just runs code created using Windows tools and downloaded with a custom 4D cable, into recognizing serial commands for drawing, without also buying the custom 4D cable, and installing and running the Windows software? There is nothing documented on the 4D site. Also, I don't understand what you mean by "open source." I just talked about "open systems." Different animal entirely, and all of the engineering wins we've had in the last 30 years have largely been driven by open systems rather than closed systems. Google the difference between the gfx and sgc versions of the controller firmware. I pre-ordered mine as sgc, and won't have to use a cable at all. Of course, I'll be running the firmware version that I get, I think I would need the cable to upgrade the firmware. Not sure if Sparkfun offers the sgc version of the board, but you could check 4d directly I guess. Thinking more about your earlier concerns, I think 4d is mainly targeting a different customer group than those who are able to solder their own programming cable.. :-) Wish you fun with your projects! So my statement is totally true: If you buy this version of the display from Sparkfun, it will be totally useless to you without also having a custom 4D cable, AND running the 4D Windows software at least once. It would be great if these requirements were actually clear in the product description. 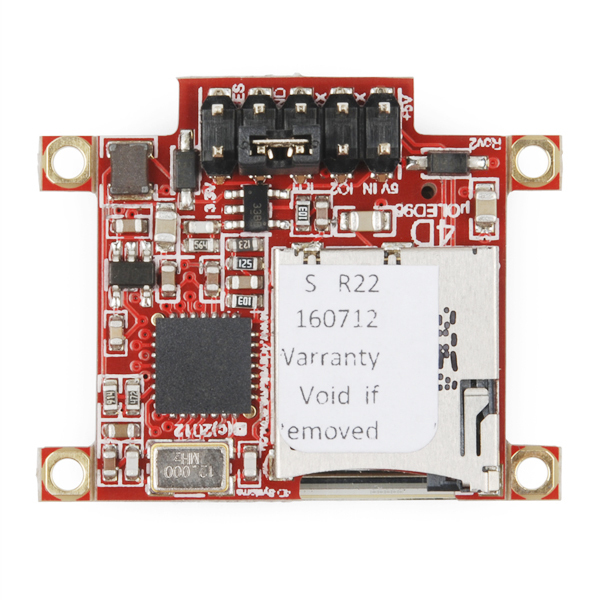 SparkFun offered a refund, and I bungled that by not sending the thing back in time, so SparkFun was okay on this, but would still be better off with a more detailed description of the limitations. Has anyone tried this product with the 850mAh Li-Ion battery with success? Could someone tell me what the typical current draw is on this display please? I am wanting to power this from a single cell Lithium battery with a step up power supply. Would it be possible to use as a display with an ATTiny84? Sooo.... does this thing come with the required cable, or not? Some of the other 4D displays at least have a picture of "a" cable in the listing, but I don't know that it's the "required" one or not... and a search here for 4D cable does not turn up anything that looks useful? 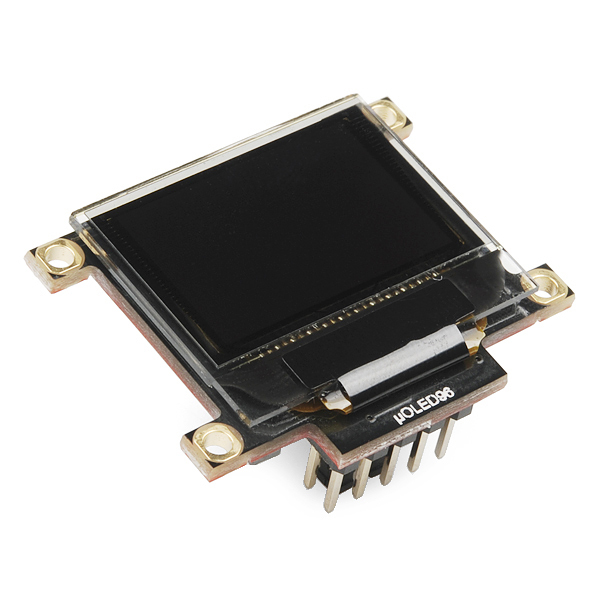 For other OLED from 4Dsystems, SparkFun used to write a warning about how you need a special connecor to program the display. Not on this page. So do you still need to buy the usb to serial cable from the 4D website shop, or can you use any usb to serial breakboard bought from SparkFun website ? Can you program this with a Bus Pirate? If not, what USB-Serial will work? Great little module, easy to swap firmware to SGC serial interface with FTDI (5v or lilypad) and some male/female connectors (Rx - Tx crossed over and DTR -> Res). Presume you could also do it with a Leonardo and pass through sketch but haven't tried that. My library should still work with this module, once it's converted to GSC using the firmware loader module.